Penn Alumni: Where are you watching the World Cup? Earlier this week, we encouraged Penn Alumni in Argentina, Brazil, Germany and the Netherlands to tweet using the hashtag #PennWC14 during the World Cup semifinals games. We were excited to see alumni respond – from Buenos Aires, Brazil, the Netherlands and Romania! 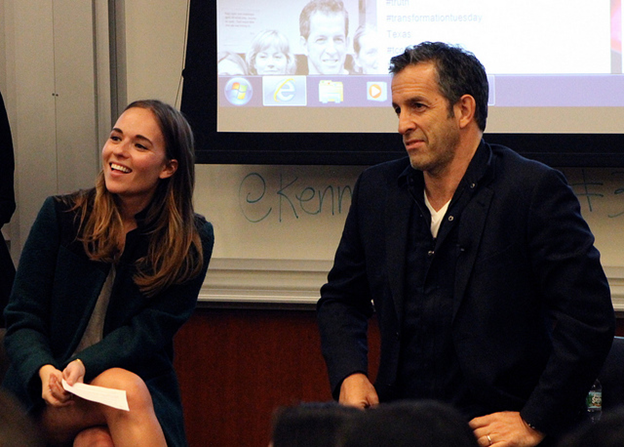 You can read the twitter stream from our interactions in a Storify story here. The World Cup isn’t finished yet though- Brazil faces the Netherlands on Saturday to see who will finish in third place, while on Sunday, Germany and Argentina play for the ultimate prize. We know many of you will be watching. Tweet us again using our special World Cup hashtag #PennWC14 – share photos of you and your friends in your team’s jersey and of your local viewing party. Tell us where you’re watching the game, and tell us who you think will win! 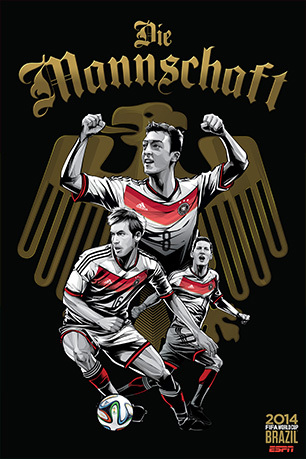 Argentina: Look up: Albiceleste is all you see OR Germany: Efficiency is synonymous with Die Mannschaft. Brazil: To be the best, you must beat the best OR Netherlands: The Oranje Army is coming for you. 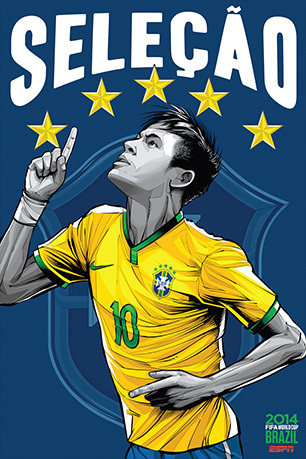 Brazilian artist Cristiano Siqueira was commissioned by ESPN to create unique posters representing each of the thirty-two teams in the tournament. The posters of the four remaining teams are above, but you can see all the team posters here. Read the original post asking alumni to tweet here. Here at Penn, and all over the United States, everyone seems to have World Cup fever and support for U.S. Soccer is higher than ever. During US games, especially when they played Germany at the end of the group stage, and then Belgium in the round of 16, most work in offices in the United States seemed to come to a halt. US fans are more knowledgeable about the game and the star players from other countries than ever before. We know that everyone around the world has been watching the games, and we know that includes Penn Alumni. Now that the World Cup semifinalists are set, we want to hear from our alumni in Argentina, Brazil, Germany and the Netherlands. The world will be watching, and so will Penn Alumni. During the semi-final games on Tuesday and Wednesday, use the hashtag #PennWC14 when you’re posting to Twitter or Instagram so we can see what you’re saying during the games. 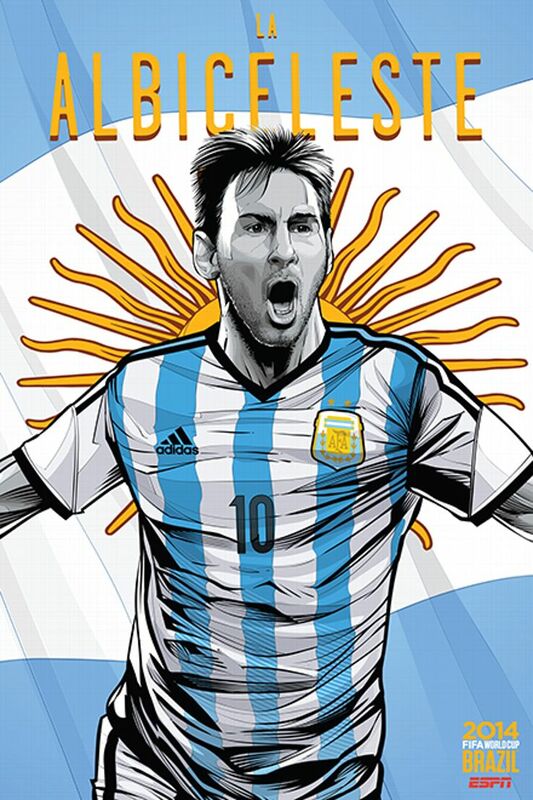 Make sure you mention your favorite team: #ARG or #BRA or #GER or #NED. Alumni from around the world are encouraged to follow the twitter stream and cheer on your favorite teams! We’d love to see photos too – of you in your team’s World Cup shirt, or at viewing parties in your home country or around the world. Brazilian artist Cristiano Siqueira was commissioned by ESPN to create unique posters representing each of the thirty-two teams in the tournament. The posters of the four remaining teams are below, but you can see all the team posters here. Argentina: Look up: Albiceleste is all you see. Brazil: To be the best, you must beat the best. Germany: Efficiency is synonymous with Die Mannschaft. 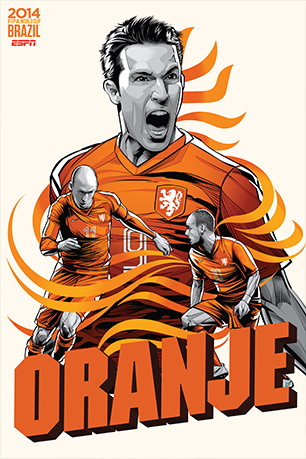 Netherlands: The Oranje Army is coming for you. We LOVE going for the Gold in the AlumPics! 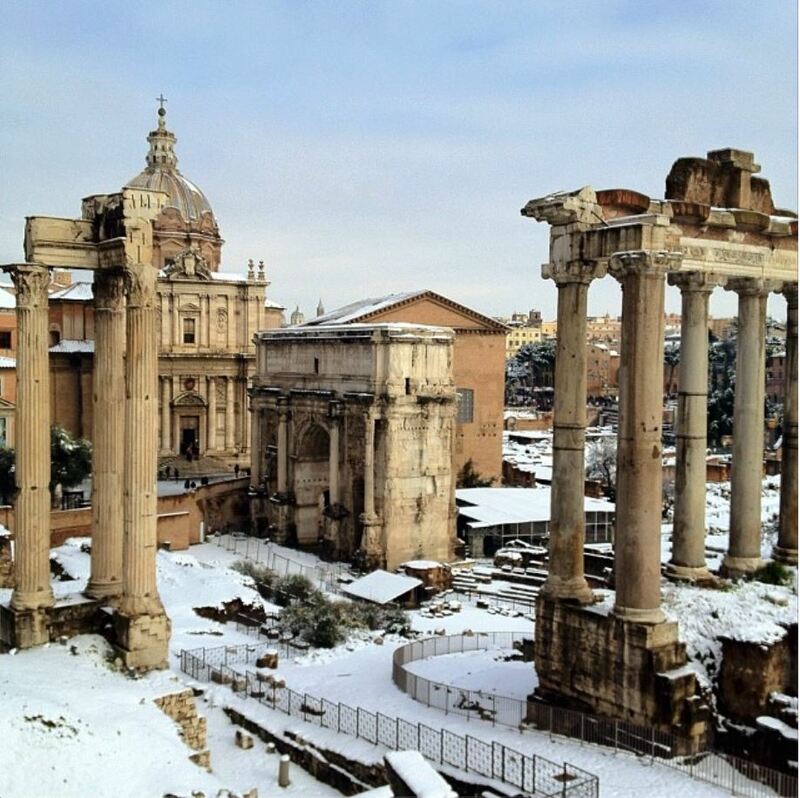 It’s the last day of the #alumpics competition on Facebook, and our wintery, throwback Thursday photo yesterday took the gold! But, we’re behind in the medal totals, so we need a strong showing today. Our GOLD medal winning photo in the Throwback Thursday category. 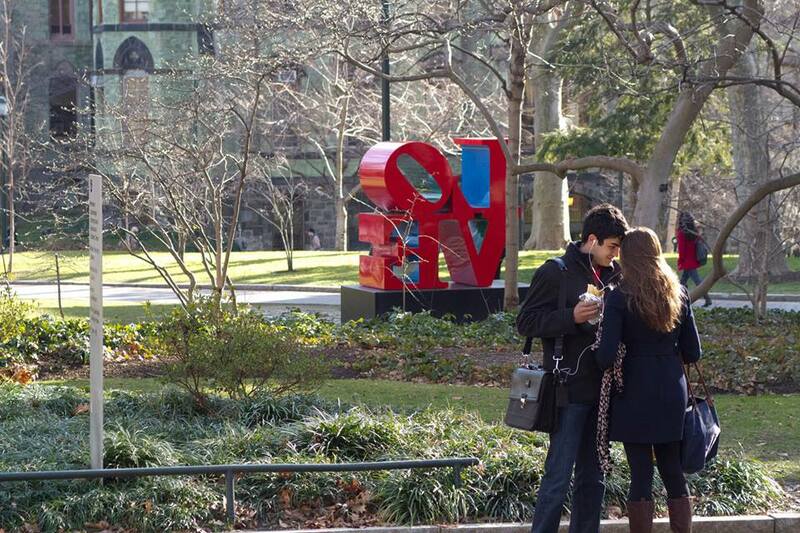 Given that it’s Valentine’s Day, how can you not “like” and “share” the LOVE at Penn? We can’t let Princeton, Stanford, Cornell or Columbia take gold today when we’ve got LOVE right in the middle of campus! Here’s our entry for today’s Alumpics theme of LOVE. 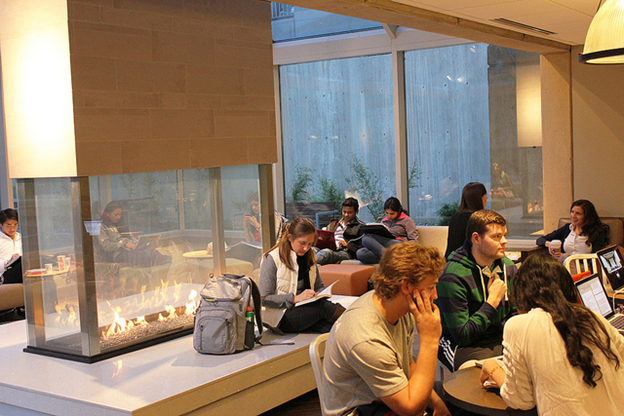 Sharing Penn’s photo to your Penn class or club’s Facebook group/page helps us as they are tallying shares and likes! Simply go to the Penn photo (link above), log into Facebook, and you’ll see a “share” option under the photo. Click on that and you have a drop-down menu so you can share it to your timeline or to a group. While we hope you’ll do both, sharing to your group encourages your fans to like and share the photo also. Just be sure to encourage people to like the photo at Penn’s FB page, and not on your or your class/club’s page. For a recap of our gold-medal winning performance yesterday, see the Alumpics blog. P.S. 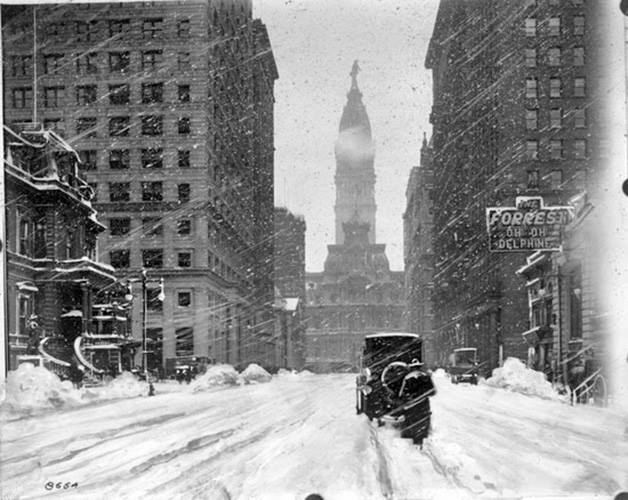 If you’re really feeling the love today, be sure to check the Twitter hashtag #WhyILovePhilly – isn’t Penn a big part of why we love Philadelphia? Penn’s founder, Benjamin Franklin, is celebrating his 308th birthday on January 17, 2014. Join Penn alumni in a city near you for this year’s festivities! Cities/clubs celebrating this year include: Baltimore, Boston, Houston, Las Vegas, Lehigh Valley, London, Long Island, Los Angeles, Metro NJ, New Haven, Northeastern Pennsylvania, Northern California, Orange County, Philadelphia, Phoenix, Portland, San Antonio, San Diego, Shanghai, Seattle, and Westchester/Rockland Counties. Join the Penn Club of Baltimore for appetizers and a cash bar to celebrate the birthday of Penn’s founder, Ben Franklin. Start the New Year with your follow Penn alumni. For questions or to RSVP, contact pennbalt@yahoo.com. Celebrate Ben Franklin’s Birthday with desserts at Max Brenner! Did you know that Benjamin Franklin was born on Milk St in Boston, MA in 1706? He then went on to attend Boston Latin School, ran away to Philadelphia at the age of 17, and eventually helped found the University of Pennsylvania and went on to become one of the Founding Fathers of the United States. Today, his legacy lives on in the field of politics, philosophy, science, and education. Join us on January 16th at 7pm at Max Brenner’s as we celebrate the legacy of the illustrious man and founder of Penn, Ben Franklin. RSVP is required. RSVP through the Penn Club of Boston website or by sending an email to stephanieh@pennclubofboston.org. RSVP Here! Penn Houston is celebrating Ben’s 308th birthday at Camerata, a cool, recently opened Montrose wine bar that has a laid-back vibe and amazing wine list. First glass and apps are on the club! Join us to kick off 2014 with familiar faces and new friends as we reminisce on Ben and good old Penn. Advance registration required via our website. More info on Camerata: Popular among bar and restaurant critics, Camerata was named in December as the 3rd hottest wine bar in the country by Eater National and has been featured by Texas Monthly, Houston Press, Culturemap, the Houston Chronicle, and Eater Houston, to name a few. Owned by Paul Petronella and directly adjacent to his restaurant Paulie’s, Camerata offers an ever-changing bottle list from ex-Uchi Houston beverage director David Keck in a space that draws a hip, younger crowd. Parking: Camerata is located on Westheimer, between Driscoll Street and Morse Sreet. Parking can be find on either side street, and entrances are on Westheimer and the back of the restaurant. The Penn Club of Las Vegas is excited to host the Vegas Ivy Plus community for a beer tasting in honor of Big Ben’s Birthday. There will be discounted drinks for our group as well as a tour of the brewery. Beer + education = win win for us and Ben. We hope you can make it and are looking forward to seeing you all there. Last year we had a great turnout and a great time. Note: Ben Franklin wigs optional (kidding). Questions, email: Lea Artis, C’08 at leartis@alumni.upenn.edu. (And even if you can’t, make sure you’re on our email list!) PS. Visit our new website PennLV.com for all upcoming events and news. 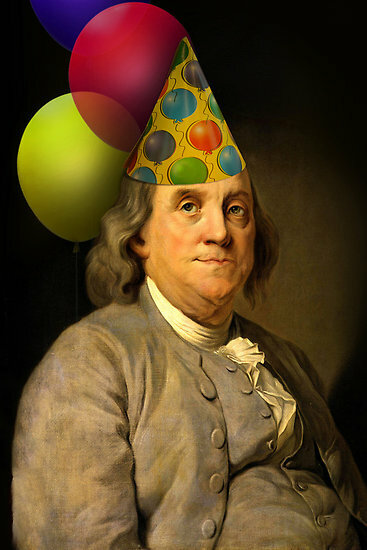 The Penn Club invites you and your guest(s) to Ben’s Birthday Bash (“eve”) celebrating Benjamin Franklin’s 308th birthday. Two menu options: The Full Rodizio – $28.99 – Enjoy a variety of rotisserie grilled meats carved table side, glazed pineapple, a gourmet salad bar, and authentic Brazilian appetizers, all Unlimited! Gourmet Salads – $16.99 – Enjoy unlimited authentic Brazilian appetizers and unlimited trips to the gourmet salad bar, featuring over 30 hot and cold items. Rodizio is 100% MSG free, 100% Peanut free, and 95% Gluten free. We hope to see you there. Please rsvp and indicate if you are joining us for Happy Hour, Dinner or Both (hopefully both!) We need to give the restaurant an accurate count so that they can accommodate us properly. RSVP to Joan at info@pennclublehighvalley.com. In celebration of Ben Franklin’s birthday, we are celebrating our beloved founder’s special day with drinks. Come join us at 21 Covent Garden from 7 PM, where we will have a reserved area in the bar overlooking the Covent Garden Piazza. Feel free to bring a Ben Franklin-related item… We’ll buy a drink for the person with the best or most unique item! Looking forward to seeing you and raising a toast to dear ol’ Ben. Questions? Email the club at pennalumniuk@gmail.com. 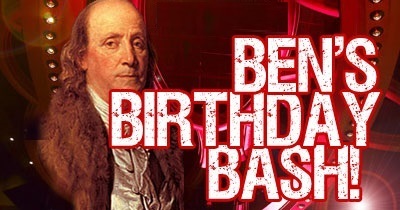 Join us in celebration of Ben Franklin’s Birthday, Ben’s Bash. There will be a brief Club meeting, followed by dinner. Note: Location change, no longer at The Pikey! Happy New Year Penn Alumni! We would like to invite you to come celebrate Ben Franklin’s birthday with fellow classmates at The Churchill this Friday! Help us cheers to dear old Ben! Find more information and RSVP here. All Metro NJ Penn Alumni and Penn Parents are invited to join us for Ben Franklin’s Birthday Bash at the home of Carol Michaels. After an open board meeting, there will be refreshments including Ben’s birthday cake. RSVP here. Join us for a presentation entitled “Callings and Culture-Picking: Lessons on Work and Food from the Wilds of Psychology” (topics that were of great interest to Ben!) by Penn Psychology Professor Dr. Paul Rozin and our own Dr. Amy Wrzesniewski, C ’94, of the Yale School of Management, followed by refreshments and birthday cake! The event is free, but RSVP via email to robpennclubnh@gmail.com. Attire for the day is casual. Buffet will be served (cash bar). The price for the event is $30 per person. If you like to avoid the rush please include your dues of $15 for 2014. RSVP no later than Thursday, January 9th by calling 570.208.3130, ext. 147 or by e-mailing me at AndrewPasonick@penneastern.com. Penn’s founder, Benjamin Franklin, is celebrating his 308th birthday in January 2014. Join Penn alumni for this year’s festivities! Join us as we mingle with familiar and new alums and play Ben Franklin and Penn trivia! Event details here. 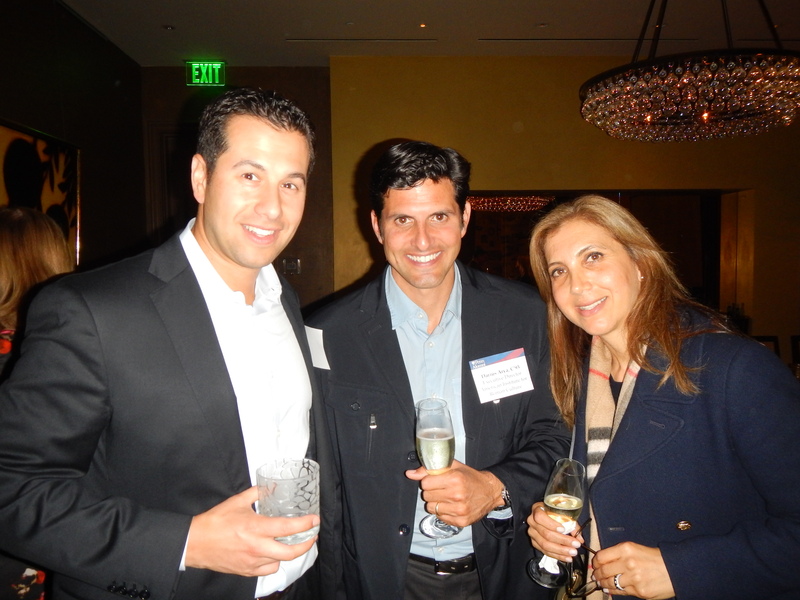 Please join Orange County area alumni us for a fun evening of networking and remembering Ben. Also, bring ideas of events you would like to see our club take on this year! RSVP to penncluboc@gmail.com so that we know how many will be in attendance. We look forward to seeing you there and starting off 2014 in celebration! Come celebrate the University of Pennsylvania’s Founding Father’s 308th Birthday at the new Benjamin Franklin Museum in Philadelphia! Join us for a lecture series brunch at The Plough & the Stars restaurant in Old City with Penn Professor John Milner, Adjunct Professor of Architecture Historic Preservation and two project directors from Quinn Evans Architects, the architecture firm responsible for renovating and expanding the Benjamin Franklin Museum in Philadelphia. Following the brunch, we will experience a private guided tour of the new Benjamin Franklin Museum in Old City. RSVP: Click here to buy tickets! 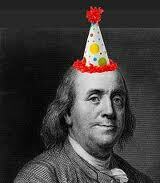 Join fellow alumni as we once again celebrate Ben’s Birthday at our annual Ben Franklin Birthday Bash. This is always one of our most popular events, so be sure to sign up early. Appropriately, at this event we honor our Ben Franklin Sponsor members. 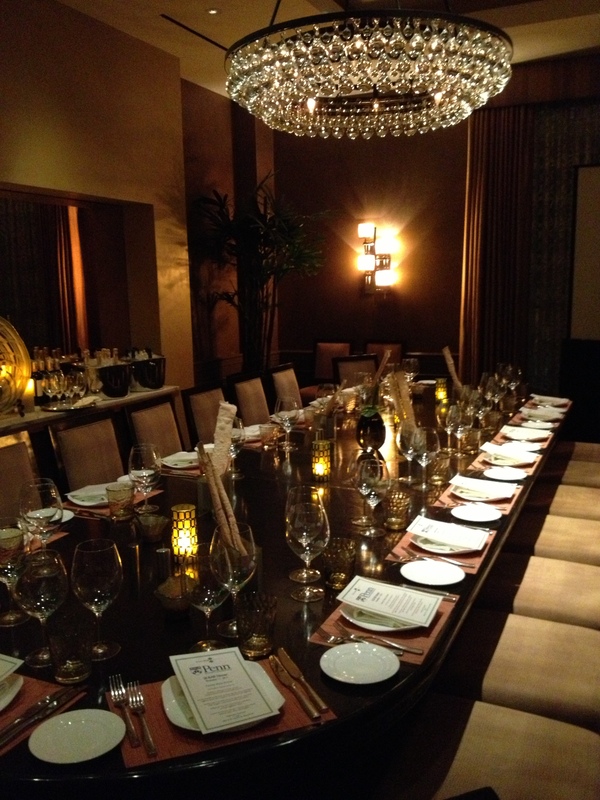 We appreciate the additional support; you and a guest are invited to this event at NO CHARGE. 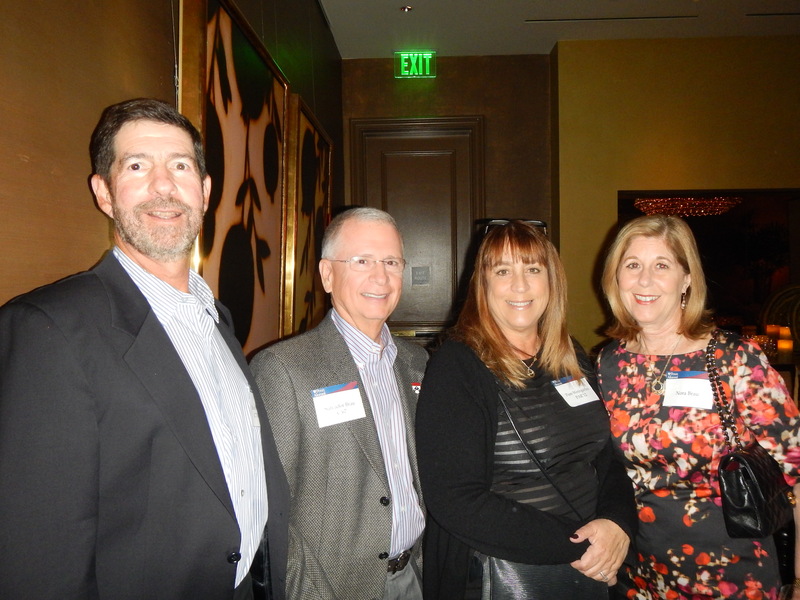 Red & Blue Society members and a guest attend all events at NO CHARGE. Special Invitation to our Young Alumni to join us at NO CHARGE. RSVP: Click here to RSVP!!! While touring Ireland in 1771, Benjamin Franklin was moved by the level of poverty he observed. Since Ireland’s economy was governed by the same trade regulations and laws of Britain that governed America, Franklin’s observation, that America could suffer the same effects should Britain’s colonial rule continue, fueled his passion for independence. So, once again this year, we are celebrating Benjamin Franklin’s 308th birthday with a nod to Ireland on Wednesday, January 15th (actually two days before his birthday) at Kells Irish Brew Pub. Look for friends, smiling faces and/or small Penn flag. 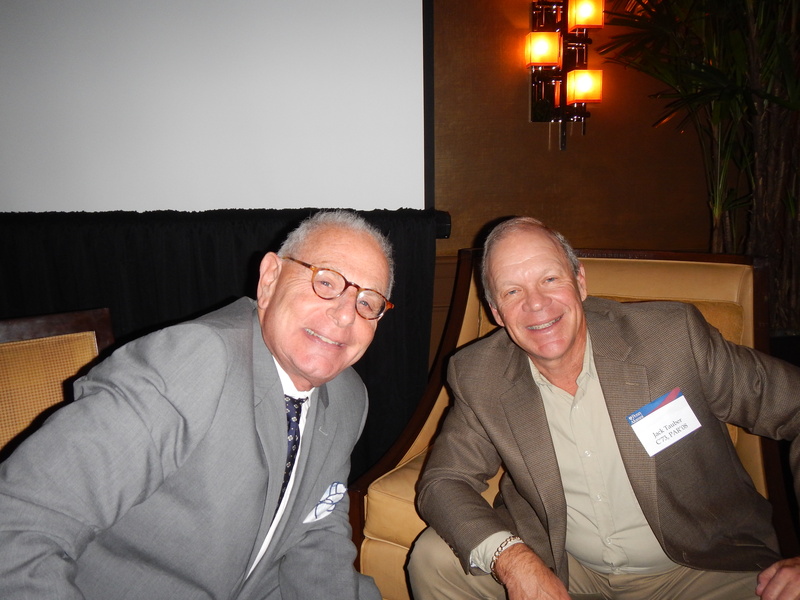 RSVPs, while not required, are always appreciated to club president John Vosmek at John Vosmek john.vosmek@vosmek.com. The Penn Alumni Club of San Antonio will continue our tradition of celebrating Ben’s Birthday Bash on Friday, January 17. Once again we will gather, starting at 11:30 A.M., at San Antonio’s Philly cheese steak emporium and our informal clubhouse, Youz Guyz South Philly CheeseSteaks, phone 210-659-8930. Be ready for Quizzo while we munch our lunch. RSVP by Monday, January 13, to Elaine Ayala, eayala@express-news.net, 210-250-3402. The Penn Club of San Diego will celebrate Ben’s Birthday Bash! A small corner is being reserved at 6pm at Eddie’s! Cheesesteaks, Tastycakes and other menu items will be available for purchase. Join the Penn Alumni Club of Seattle in celebrating Ben Franklin’s 308th birthday with an evening of bowling, billiards, food and drink at the great space known as “The Garage” on Capitol Hill in Seattle. Bowling begins at 5:00 PM. You can bowl, schmooze, eat and drink, play some billiards and just enjoy the company of local Penn alumni and parents. Cost for the night will be $10, which includes bowling and shoe rentals. $20 includes bowling, shoe rental and a Penn Club of Seattle t-shirt! (Food and drink will be on you). RSVPs are required at http://www.pennclubofseattle.com/item/554706. Space is limited so sign up today! Wines start from 45RMB. Buy two glasses get one free. To kick off the Penn Club’s events in the new year, we are commemorating our University’s founding father, Ben Franklin, with a birthday bash in his honor. Please join us for some drinks and good times with your fellow alumni! If you are interested in learning more about running for a position, please email us at penn.club.shanghai@gmail.com. We will accept nominations for positions until Tuesday, January 21. This year we are heading to Mt. Kisco to enjoy great food and drinks while enjoying the music of a Penn Alumni Band! Mingle with fellow alumni while enjoying pub fare and drinks from 7:30 to 9:30PM, and then Randi Nielsen, W’84, Robert Birkenholz, ME’82, and Mike Rosenman, C’76, will be performing with their band, The Velcrows, at this fun venue! MTK Tavern is located in Mt. Kisco, an easy walk from the train station if you would rather not drive. The evening will conclude with a cake to celebrate Ben Franklin’s birthday! RSVP/PAYMENT (includes cover charge and from 7:30-9:30PM: food and wine/beer/soft drinks): Through January 20th: $50 for members and $60 for nonmembers; From January 21st through January 25th: $60 for members and $70 for nonmembers; Use the red link below to rsvp and pay by MC/Visa or to pay by check, email the event chairperson, Wendy Weinstein at wendy.weinstein.karp@gmail.com with the number of attendees and then send a check payable to “The Penn Club of Westchester & Rockland Counties” and write “Ben’s Birthday Bash” on the memo portion of the check. 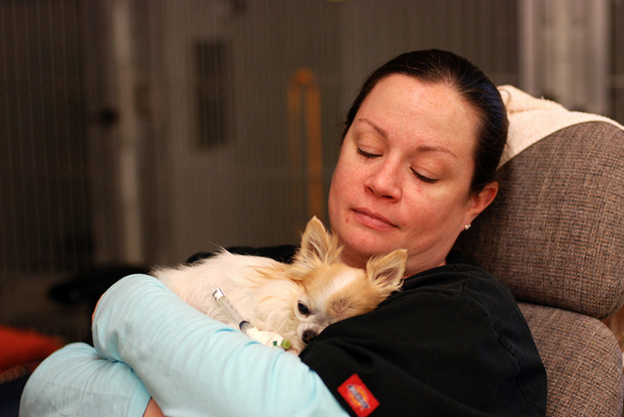 Please send the check to Club Treasurer: Pamela Harpaz, 12 Woodmill Road, Chappaqua, NY 10514. For questions or additional information, please contact the event chairperson: Wendy Weinstein at wendy.weinstein.karp@gmail.com. Celebration! Benjamin Franklin, Founder, will present the Franklin Founders Award to Dr. Edward O. Wilson in recognition of his lifetime of work in the natural sciences, and his insights into the genetic basis of the social behavior of animals, including humans. Recognized worldwide as a leading authority on ants, Dr. Wilson has used his findings on social species to develop cutting-edge theories about human behavior. His 2012 book, The Social Conquest of Earth, looks at altruism and conflict in human society. Dr. Wilson, who received the Pulitzer Prize in 1979, is an emeritus professor at Harvard University. A procession up 5th Street to Dr. Franklin’s grave will be followed by a luncheon honoring Dr. Wilson. More than 80 photographers submitted 500 images of campus life to the University’s Flickr pool. In addition, photographers participating in the project posted 172 images on Instagram, as well as 260 tweets on Twitter, #PennDayinLife. 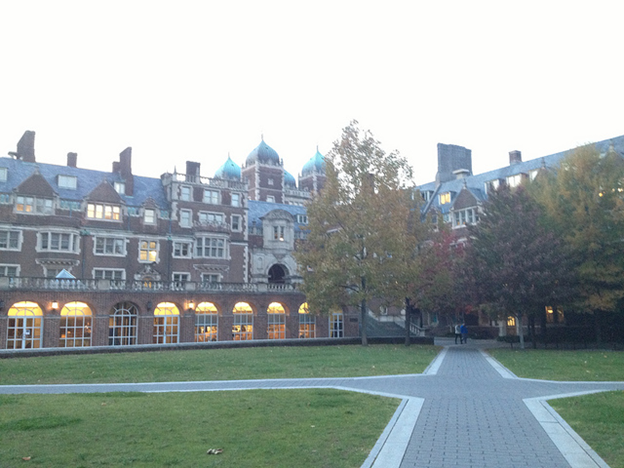 Members of the Penn community also sent images from the campus outposts of Botswana, Guatemala, and Seattle. 10:53 a.m. Jacqueline Harper and Linda Schnolis examine a neonate lying in a baby warmer shortly after its birth. 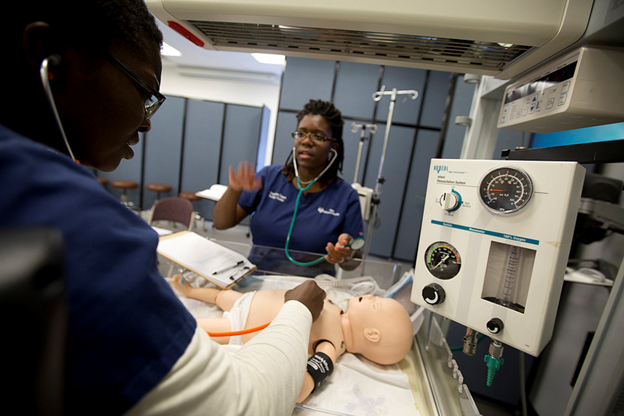 Ms. Harper and Ms. Schnolis are second degree nursing students enrolled in the Nursing Care of the Pediatric Patient course. 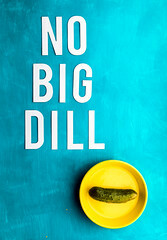 Photograph by Steven Minicola, University Communications. 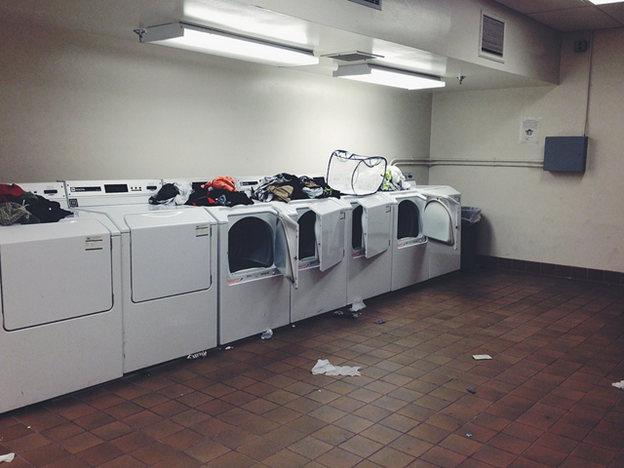 10:36 p.m. – Nighttime Laundry. No matter what time of the day it is, all the washing machines always seem to be in use. 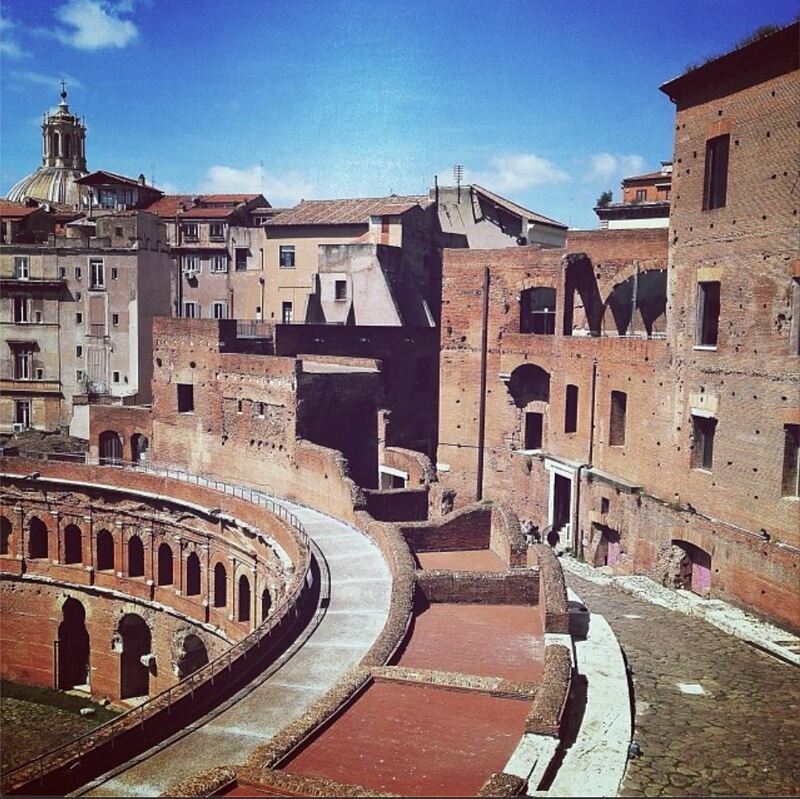 Photo by Hannah Rosenfeld. To view the entire collection of images submitted by photographers, visit the University’s Flickr group pool. Although the word “Sizzler” may conjure images of steaks or car races for some, ask anyone in Sweeten Alumni House and they will tell you “Sizzler” is an annual conference for Higher Education organizations that use iModules to manage their online constituent relationships. This is the first year Penn Alumni staff has attended the conference in order to learn tips, tricks, and best practices about our new online engagement platform. I have been following the Sizzler twitter feed and here are some of my favorite messages. The new Penn Alumni site will include responsive design for our mobile audience. 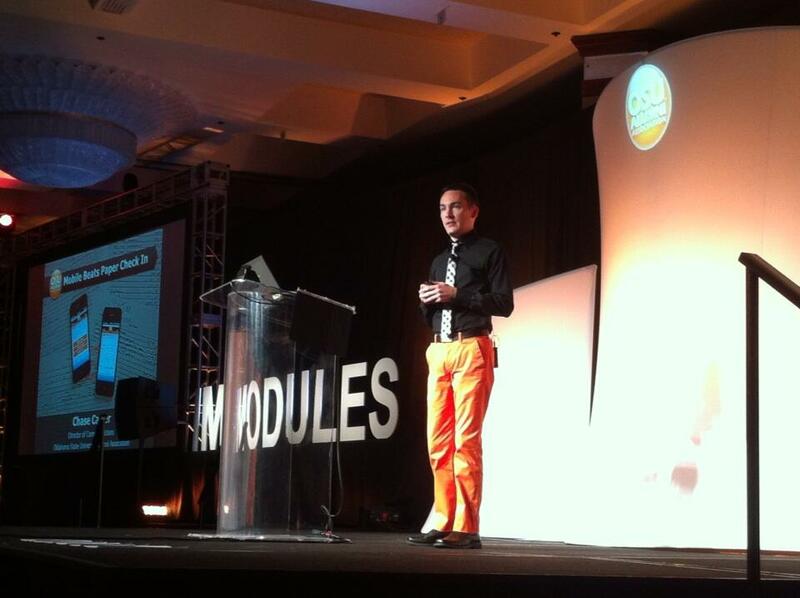 Event management will be part of the new iModules tool. 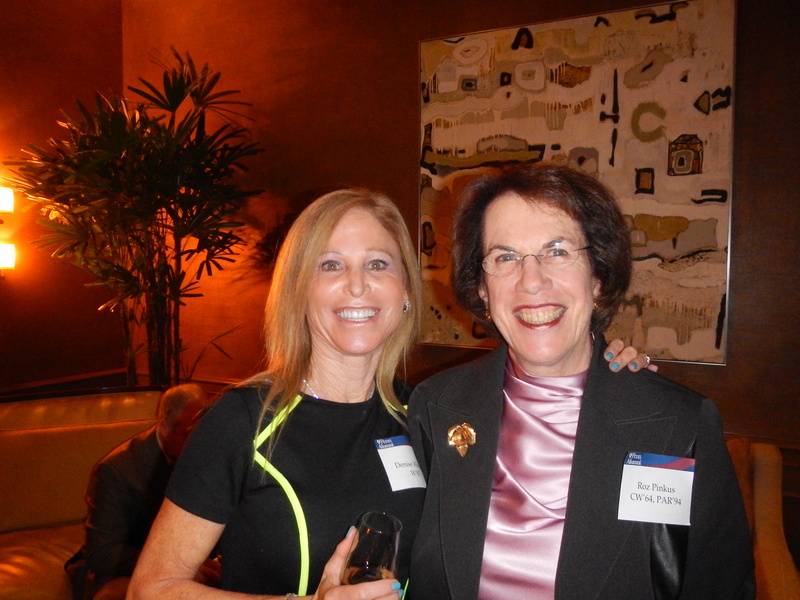 @PennAlumni has established strong social media ambassadors. 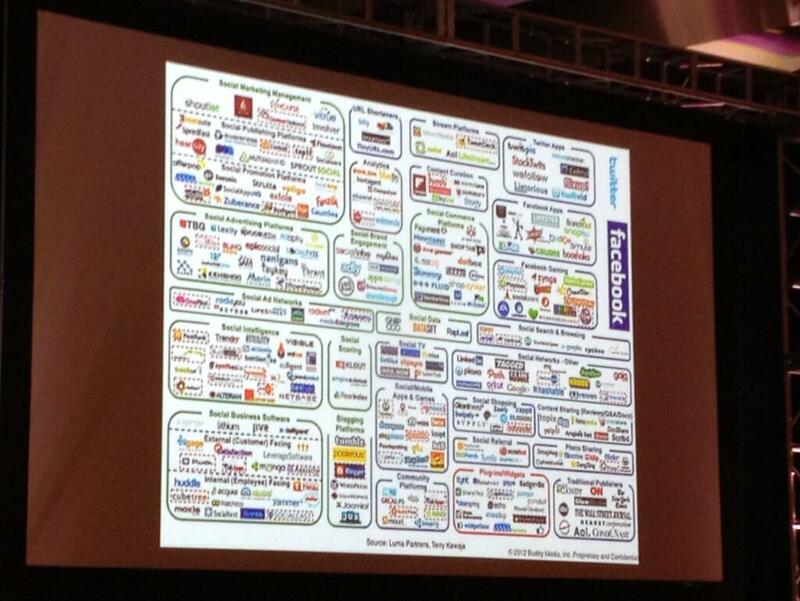 Email marketing has not been replaced by social media. These are a few examples of topics covered during the Sizzler conference. 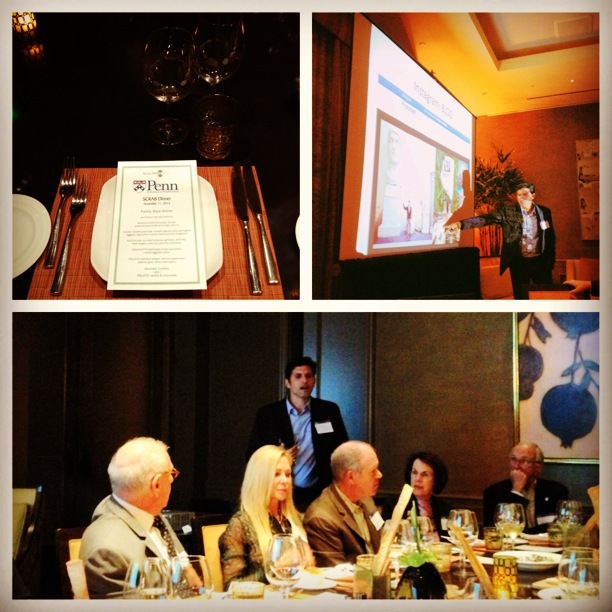 Look for more information on changes to the Penn Alumni online communications in upcoming months!